Small plastic tags with a removable paper insert. 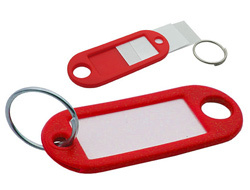 Each one has a small keyring to easily attach to the hole in a key. 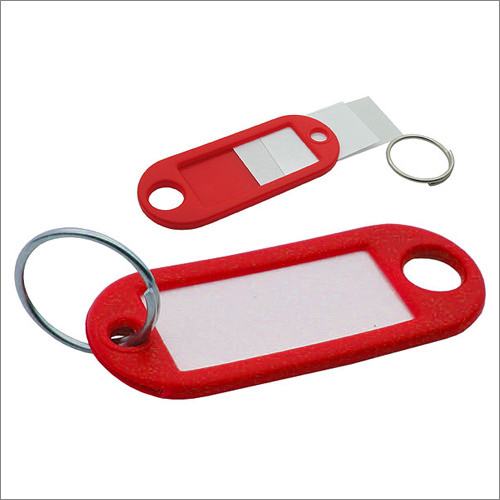 These are a practical alternative to permanently engraving the keys which can be costly. They are available in eight different colours that you can select between using the drop down menu above. However, please note the two blue colours are quite similar and likewise, the orange and yellow could be mistaken if mixed together. Bare this in mind when considering how you locks will be allocated.